We offer credit accounts for return customers - Apply today! A full range of specialist lifting and material equipment is available for hire through North West Access. North West Access have all the tools needed to make sure you are able to handle a variety of different materials in a safe way, from Trucks & Trolleys to Genie Superlifts. If you require to speak to a specialist regarding lifting equipment then please contact us with any questions. 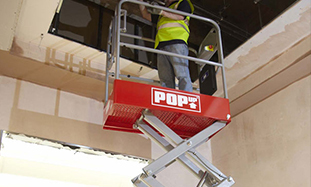 The range of low level access machines including Pop-Up’s and Power Tower access platforms available to hire from North West Access, provides immediate low level access in an instant. Low level powered access is ideal for space and weight restricted areas, as well as being a safer alternative to ladders and steps. Need to hire Access & Support Tools? Then you need to talk to us. We have Pop-up’s, Power Towers and Peco’s for low level access hire across the UK, Call us today. 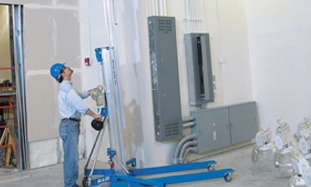 Good safety practices and careful use of fall prevention and fall arrest devices when working at height will always be required. Here at North West Access, our safety equipment will protect you and your workforce in virtually every kind of circumstance. To discuss our full range of Aluminium Towers and support equipment in more detail, contact the helpdesk with your requirements. 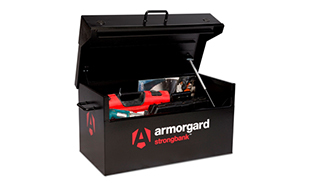 This section is packed with products that are built to keep your tools, materials and equipment safe. Our most popular range from this section is TuffBank, offering the perfect balance between cost and best-in-class performance. From timber ladder hire, to alloy ladder hire, North West Access has the full range of ladders available to hire when you need them. 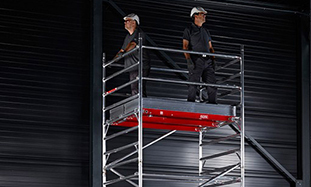 North West Access offer the highest quality ladders to ensure that you can work safe when you are working at height. Need to hire Access & Support Tools? Then you need to talk to us. We have Ladders for hire in the UK, Call us on the number above. North West Access offers aspects of Personal Protective Equipment (PPE) including Gloves, Hard Hats, Hi-Visibility Wear and Safety Boots. All products can be purchased in singular or bulk orders please call today for our very best price available. North West Access & Sales Ltd aims to offer the highest quality products to it’s customers available in the access market today. Our goal is to offer a great customer service, knowledge and expertise along with the safest products and Personal Protective Equipment available, and aim to be the access specialists and market leaders in Merseyside. North West Access & Sales Ltd are a specialist business providing access equipment and support to the mechanical, Electrical, construction and Engineering market sectors across the North West of England. North West Access & Sales Ltd was founded in 2013 and has become known for being a reliable and trust worthy business to partner with. The senior management, hold over twelve year’s worth of experience in delivering successful and reliable products to the above market sectors. North West Access & Sales Ltd see their strategy as being a simple one, to satisfy their customers by delivering innovative and reliable products to help them successfully carry out their work safely at height. We recognise that not all of our customer’s needs will be the same, so we also see ourselves as being a flexible supplier. No matter what the problem or requirement is we will always be happy to help. Our customers are the number one priority. Our staff are very friendly and always here to help, we like to think that we have a ‘can do attitude’ and we work tirelessly to make the customer experience a happy one! Call for availability IPAF courses today! We offer a Delivery and Collection service on all of our products. Our promise is that any order placed before 10am will be delivered the same day if required. Once off hired all equipment will be collected within 48 hours. North West Access is a Low Level Access specialist looking for an enthusiastic individual to be part of growing business and grow the market share in the North West of England. North West Access was formed in 2012 with the directors holding many year’s experience in the access hire rental market. We currently have a fantastic opportunity for an experienced Account Managers/Business Development Manager to join us to increase the hire revenue and units on hire in order to maximize potential and profit. This role is to cover the North West of England. The roles require tenacious professionals with the ability to exceed revenue targets through the development of existing key accounts and development of new business in and around your target area. You will be required to develop new business by delivering proposals and presentations to win ‘local’ preferred supplier status with targeted customers. The role involves individuals to negotiate at all levels and will require some activity on local and national sites. Have proven sales experience, with a project management bias. 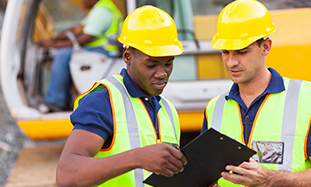 Be able to demonstrate building effective and successful relationships with key stakeholders such as Health & Safety Managers, Procurement Managers and Directors. Have the ability to sell using a consultative approach. Show an aptitude for selling technical products and concepts. 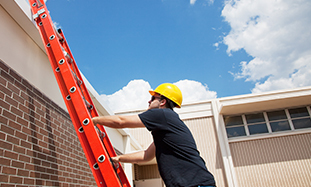 Have a thorough understanding of Health & Safety legislation and Working at Height legislation. Please send your up to date CV to ianw@northwestaccess.co.uk or call 01515218313 to express your interest. Dedicated to the supply of access equipment, North West Access enjoys a position at the very forefront of the access industry. As a Driver/Branch Assistant, you will be accountable the delivery, demonstration and collection of equipment to and from customers and suppliers, safely and on time. The role requires an effective communicator, who can alert the line manager to new sites and potential new customers. You will have responsibility for the health and safety within the branch, you must make certain that the business is compliant with HSE legislation and offers a safe working environment for the branch team as a whole but also for individuals. Candidates for this position must have local knowledge of the North West and are flexible in their working hours. We are also looking for someone who is IT literate with a full UK driving licence, we are ideally looking for applicants with industry experience however this is not essential. Due to the nature of the role a full UK driving licence is required.